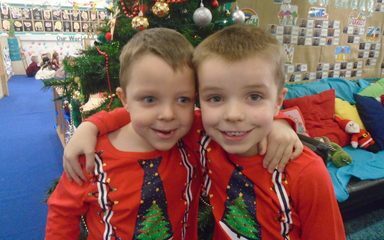 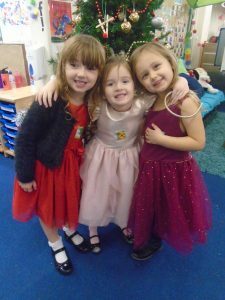 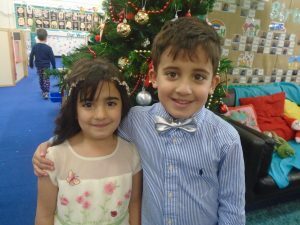 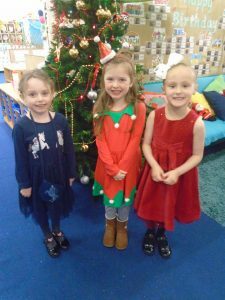 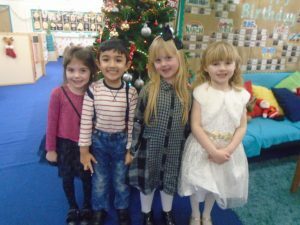 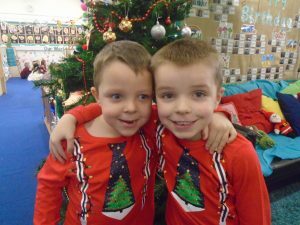 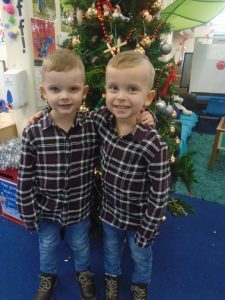 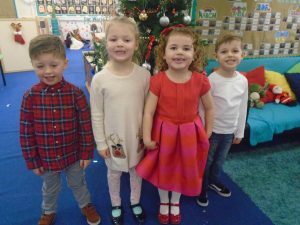 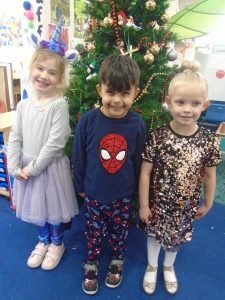 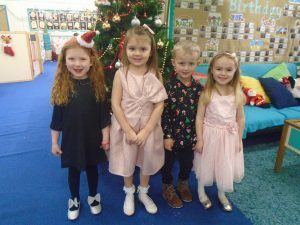 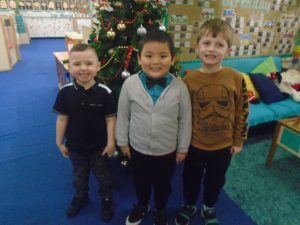 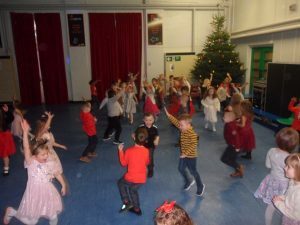 Today Reception children have really enjoyed themselves at their Christmas party. 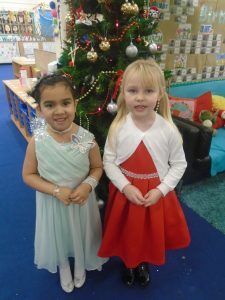 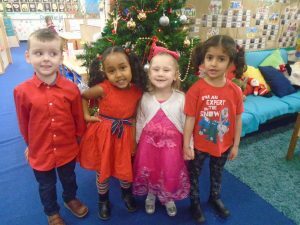 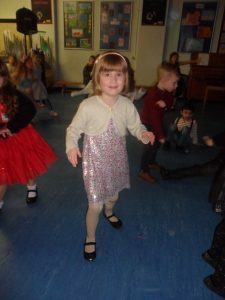 Everyone came to the party dressed in such fantastic outfits and the children said really kind things to each other like ‘you look so beautiful’. 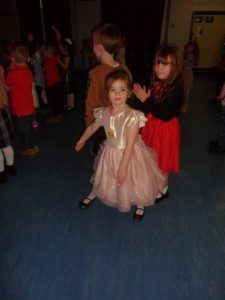 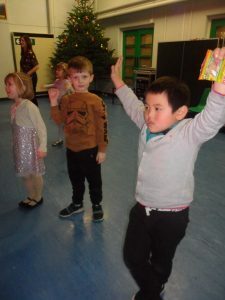 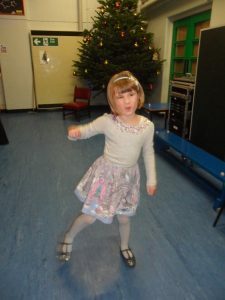 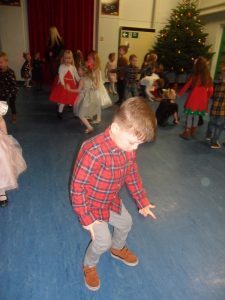 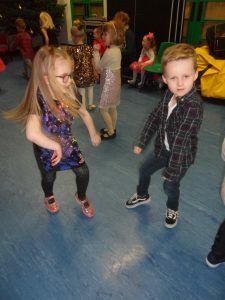 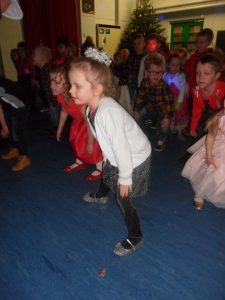 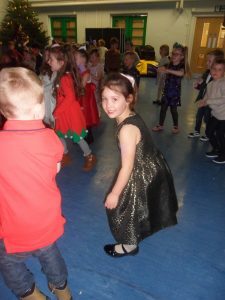 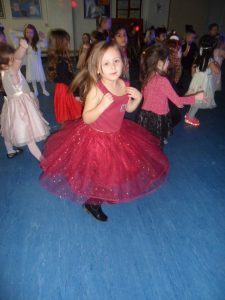 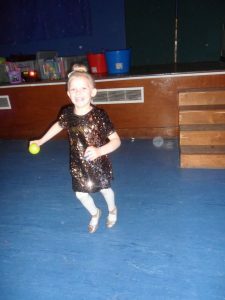 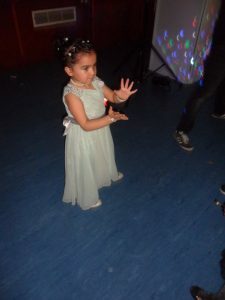 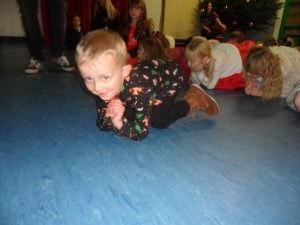 The children loved the entertainment at the party and they joined in with lots of games and dancing – there were some brilliant moves! 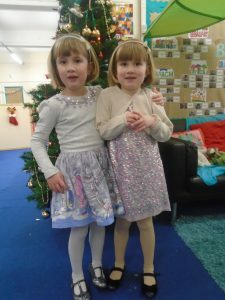 After that they ate the party food and had a well-earned drink of juice. 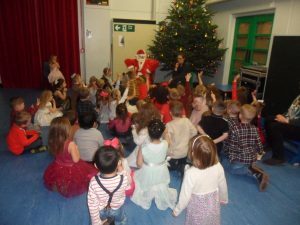 Then a special visitor came into the hall as we were singing some festive songs – everyone was so excited to find that Santa Claus had come to visit our school. 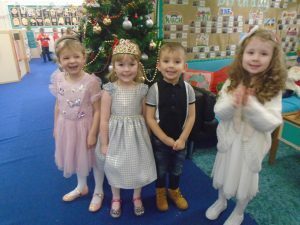 He even brought the children some gifts for Christmas day! 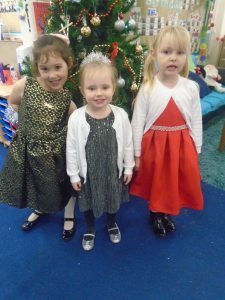 The girls had an amazing time at the party. 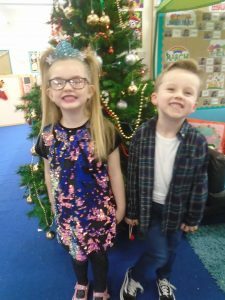 They were so excited to go and even more excited to tell me all about it afterwards! 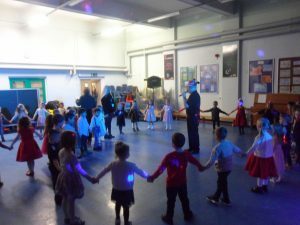 A huge thank you to all the staff who organised it.